Are these the climate change holiday destinations of the future? As we rapidly approach spewing out the trillionth tonne of CO2 into the atmosphere – the ‘carbon cut-off point’ – we’ll reach a moment where temperatures will rise by 2⁰C, enough to melt the ice caps and submerge coastlines under water. That means bucket list destinations such as the Great Barrier Reef, Florida and Venice will have kicked the proverbial bucket. Now, in keeping with humanity’s ‘glass half full’ approach to global, extinction-level events, help is at hand. Millionaire’s playground Dubai – one of the richest not global cities – is at high risk. When the sea eventually rises by three metres, this metropolis and its man-made satellite isles, the Palm Islands, will go under. 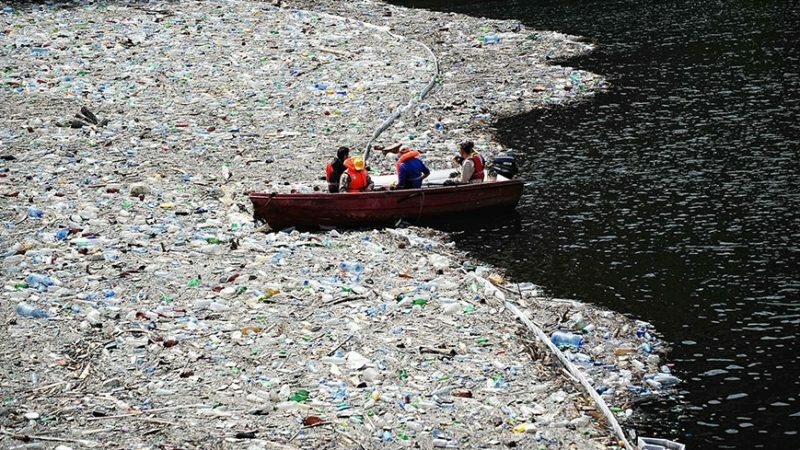 Luckily, the human race produces 20,000 plastic bottles every second, and only 7% of these get recycled. This means we’re dumping millions of tonnes of plastic into the sea. I say luckily, because research shows we’ve already, accidentally, created a Palm Islands replacement. The Great Pacific Trash Vortex is an indeterminate mass of plastic, chemical sludge, and other floating debris. Unlike the Palm Islands, the Pacific Trash Vortex is completely climate change proof – and more importantly, immune to the forces of nature. The sun-soaked beaches and flaxen coastlines of Miami will eventually be consumed by the unforgiving Atlantic. When this happens, where will we humanity go for hedonistic holidays? The Bahamas? Nope. Also gone. All’s not lost, however. As we are pumping colossal amounts of fossil fuels into the atmosphere, the once frigid and desolate Siberian wilderness is predicted to transform into five-million square miles of golden paradise. Huge expanses of previously uninhabitable land will become colonised, while the thick layers of snow will melt away to expose an almost-tropical underbelly. Birmingham, often referred to as the Venice of the North, has 35 miles of canals, while its Italian counterpart has a mere 26. In 2040, Venice will have gone the way of Atlantis. But, by then, we envisage you’d be able to lay back and enjoy the smooth, sultry tones of your Brummie-accented gondolier as they serenade you with local classics such as Black Sabbath’s ‘Paranoid’, ’Breaking the Law’ by Judas Priest, or ‘Crush my Soul’ by Godflesh. If none of these destinations are for you, don’t despair. We may have until 2036 to prevent our iconic hotspots from disappearing forever. But, we must not confuse global warming with pollution – tying in our lazy use and disposal of plastic only harms our battle for the environment. They are different issues. The UK, at present, is increasing its population exponentially, resulting in complete eco-systems being wiped out. I find it irritating that we obsess about a natural, life-giving gas, whilst I see the Earth’s natural environment being decimated.